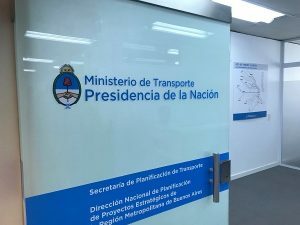 On our second day in Buenos Aires, we took the bus to the office of La Red de Expresos Regionales. It was a cool 97 degrees outside but thankfully the bus had air conditioning. Public buses are the most common form of transportation in Buenos Aires, accounting for 58% of daily commutes. 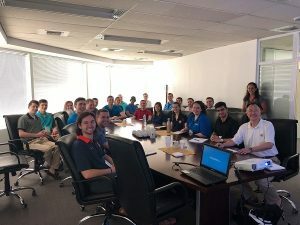 Once we arrived at the office we were met by Edward Heriot, the Director of Civil Engineering and Secretary of Transportation Planning for Argentina’s Ministry of Transportation. 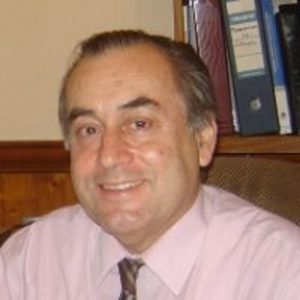 Mr. Heriot studied civil engineering at the University of Buenos Aires and worked for a consulting firm before joining the Ministry of Transportation. He was tapped by the Minister of Transportation to oversee the Red de Expresos Regionales (RER) project. La Red Expresos Regionales is named after the Reseau Express Regional train network in Paris. 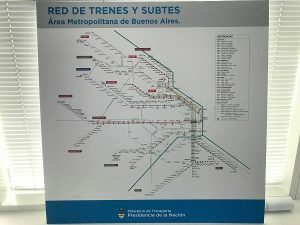 It translates to “regional express network” and is an upcoming project in Buenos Aires that will link the province’s train network with the city’s subway system. The 1.6 billion dollar project consists of three new train viaducts as well as five new underground stations. 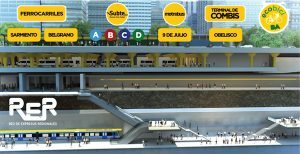 The largest new station will be built underneath the Obelisk on the 9th of July Avenue in downtown Buenos Aires. 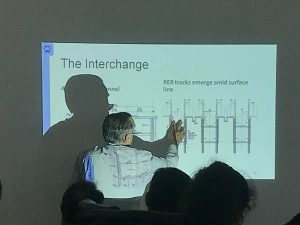 The main goal of the project is to connect the train system to the city center because as of now. Currently many of the lines do not reach the city center, so ridership is low. The project is expected to double ridership upon completion. During the presentation Mr. Heriot highlighted the significance of the project to the city of Buenos Aires, as well as the challenges that will be faced going forwards. The presentation was an excellent intrpduction into infrastructure projects and construction as a whole in Argentina. 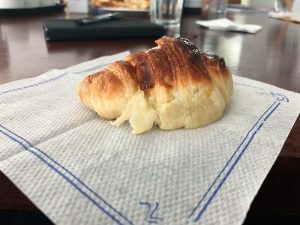 After the presentation, we were treated to medialunas, an Argentine pastry similar to a croissant. They were delicious!